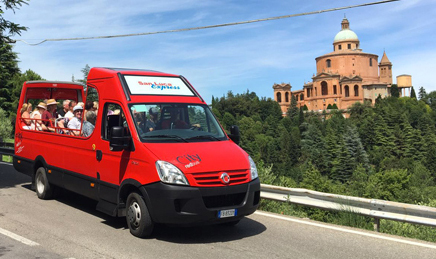 With our buses and our touristic train, it’s possible to have a dynamic and personalised advertising space; your brand will be showed all around the city and hundreds of people will see it travelling on the streets. The advertising spaces are available to surprise and adapted in each case and for each event. 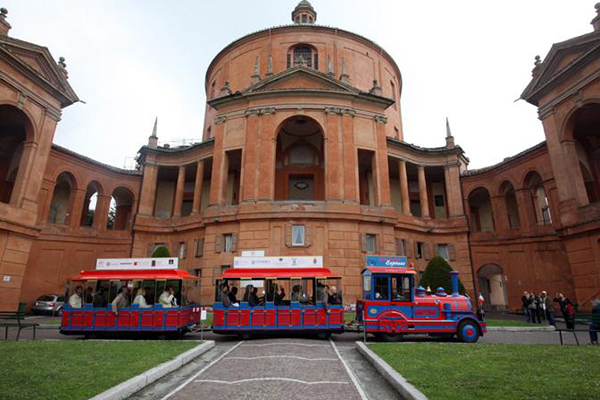 Using our open top bus and our touristic train for your advertising campaign, gives you plenty of advantages. Our advertising spots can be personalized as you wish, to surprise and sway, choosing inside or outside positions; it is a perfect way to spread your creativity and your message. They will surprise everyone and become the focal point, transforming into an artist’s canvas perfectly adaptable to any of your requirements. 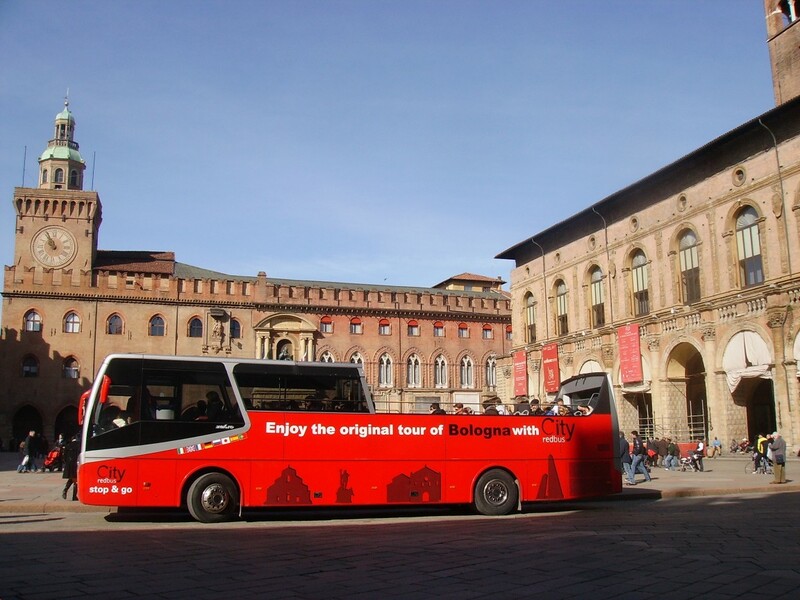 Our bus goes through a touristic path inside the historical part of Bologna, passing through all the most emblematic places of the city, a perfect way to spread your brand. The open top bus has a very high visual impact, it’s impossible to miss it! Maxi-retro: It has high visibility even over long distances and specially in citty traffic. 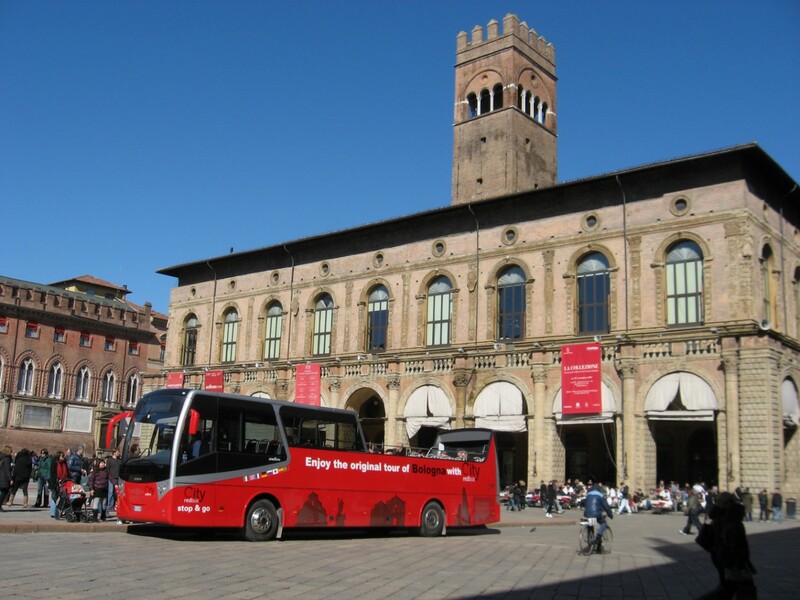 Entire bus: this format is perfect for reaching a large number of people because the advertisement will be visualised in many perspectives, anyone who passes in the city will see your message! Lateral panel: a simple and economic solution made for spreading your brand, giving a taste of your product.